Event being held until 28th October. Aronian, Giri, Vachier-Lagrave lead a very strong field. Kramnik, Anand, Grischuk also compete. Round 1 sees no shocks, but a very tough opener for Anand! The Isle of Man International Chess Tournament, kicked off in Douglas, on the Isle of Man, over the weekend. 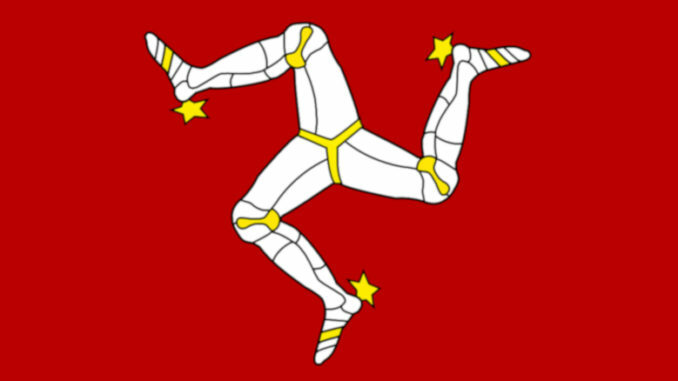 The Isle of Man (also called simply ‘Mann’) is a self governing British territory, located in the Irish Sea between Great Britain and Ireland. It is an island of around 221 square miles (572 square kilometres) and is home to just over 83,000 people. Its chess tournament, has really put the Isle of Man on the chess map in recent years, with its main event (the ‘Masters’ section) attracting many well known players. 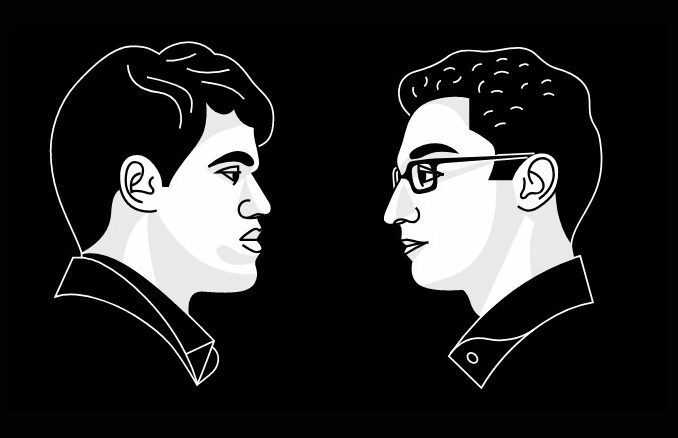 Those competing this year are led by Levon Aronian (2780), Maxime Vachier-Lagrave (2780) and Anish Giri (2780). 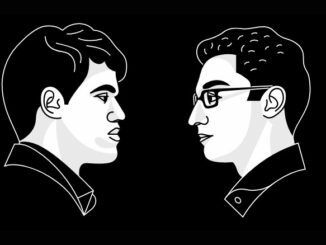 Former World Champions, Vladmir Kramnik (2779) and Viswanathan Anand (2771) also compete, as does 2016 World Championship candidate, Sergey Karjakin (2760). Hikaru Nakamura (2763) and Wesley So (2776) are also present from the United States of America, with Michael Adams (2712) leading the Brits. The tournament is played over nine rounds, with classical time controls. There is a prize fund of £137,500 (€155,643 $179,114) with the winner bagging £50,000 (€56,608 $65,132). It is sponsored by Chess.com. Round one was played on Saturday, 20th October and saw heavily out-weighted pairings. Levon Aronian, for example, had then benefit of over 300 points when it came to his opening match against Poland’s Mateusz Kolosowski (2448). This and the fact that Aronian would have White, was not favourable. And as it turned out, the game did not reach the time control before White had the point. The Taimanov Sicilian saw Aronian quickly take charge and 21…b5(?) allowed the strong 22.e5(! D). This led to a clear initiative for White and Aronian was not going to let it slip. Maxime Vachier-Lagrave also commanded things in his game against German IM Nikolas Lubbe (2447). Black was already not having the best of times before White’s 22.Nd4(! D) threw the cat among the pigeons. This is a tough position for Black. It is hard to know what to suggest, perhaps 22…Bc7 is the most constructive try (22…exd4? 23.Re6 Qc7 24.Rc1 etc.). However, Lubbe went for 22…Rg8 and then came the follow up of 23.Be8(!) — a very classy move, threatening Nb5 when Black’s Queen is up for grabs. There followed 23…Nxf5 24.Nxf5 Qe6 25.Bb5(?) which gave Black the possibility of making a fight of it. Better was 25.Bh5(!) When 25…Qxf5 can be followed by 26.Bf7(!). Any fight did not last long, however and the point was the Frenchman’s just a few moves later. Elsewhere, Alexander Grischuk, Sergey Karjakin and Wang Hao also notched up points. As did Vishy Anand, but boy did he have to grit his teeth and fight for it. He played Raunak Sadhwani (2438), who to be quite honest out-opened Anand in a Ruy Lopez of all things. 28.Rb7 rather than Sadhwani’s 28.Rb8(?) might have seen Black under a bit more pressure. As it was, perhaps the occasion of having very nice prospects against a player of Anand’s calibre, proved distracting for 13-year-old Sadhwani. He let things slip and Anand took the point. Chess can be brutal. In his defence, (not, of course, that any be needed…!) Anish was not the only one to get off to a slow start. Half points also went to Vladmir Kramnik, Wesley So and Hikaru Nakamura, to name but a few.